It’s a bit tricky to tell from the photo’s. That’s not just new feathers growing through is it? 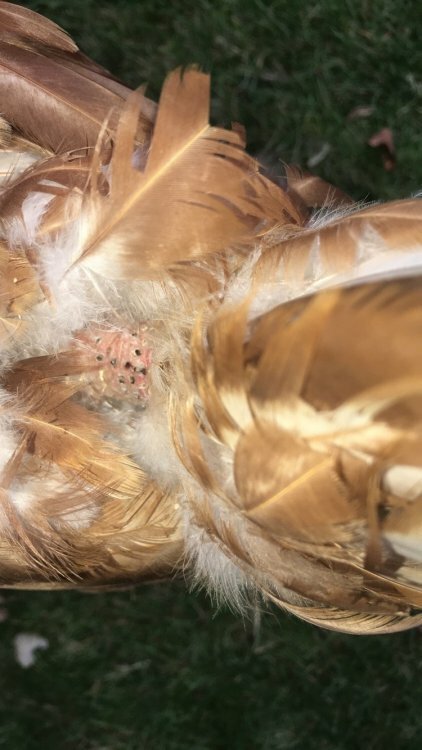 Does look sore though - have you had a good look for creepy crawlies? 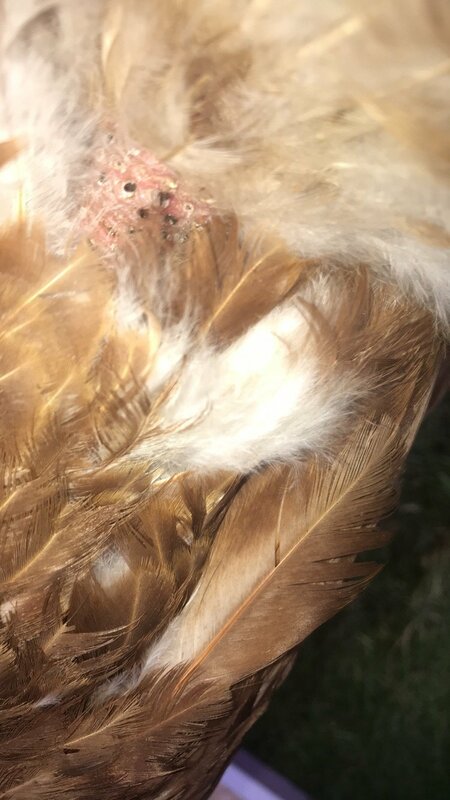 It looks as if one of the other birds has developed a habit of pecking her just above her tail and has been breaking off the new quills as they emerge; these are rich with blood, so hence the black scabs. 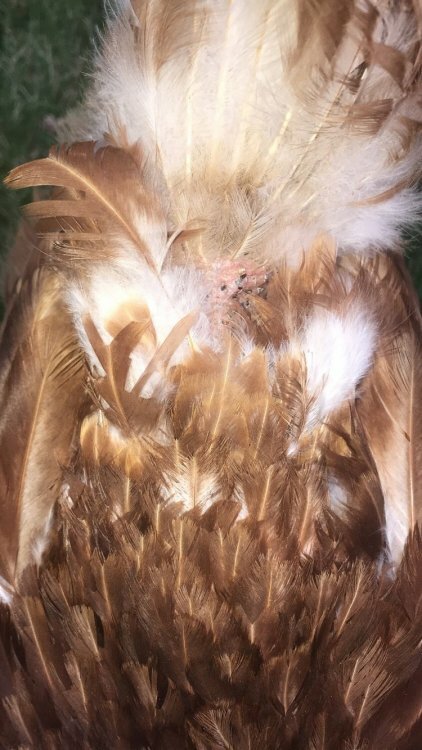 They will damage the preen gland and cause an open wound of this is left to carry on - I'd advise that you fit bumpa bits to the perpetrator/s. Feather pulling can easily escalate into cannibalism, and this happens very quickly. Be careful to glove up when you use the spray, and observe the dosage instructions carefully. You will need circlip pliers to fit the bits.